Looking to open a business or move your business to a new Wichita area? At Bokeh Development, we offer affordable office spaces in Wichita that can be customized to fit your needs. 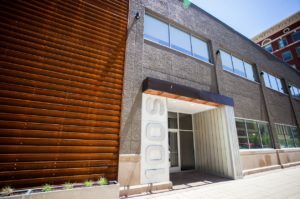 If you are looking for an available office space in Wichita, Bokeh Development has a number of office spaces in Wichita, including COrTen, The LUX, Zelman Lofts, and The Renfro. We can help you create the perfect custom office space in Wichita! Whether you have a restaurant, boutique, or another type of business, we’re sure to have the perfect office space in Wichita for lease. Currently, The LUX office spaces in Wichita and COrTen office spaces in Wichita are home to a variety of businesses, and we’d love to add you to the mix! Working in our Wichita office spaces means that you will be surrounded by an exciting community with a number of lunch options nearby. We have available office spaces in Wichita, so don’t hesitate to contact us for more information. We’d be happy to discuss making one of our office spaces in Wichita the new home for your business!